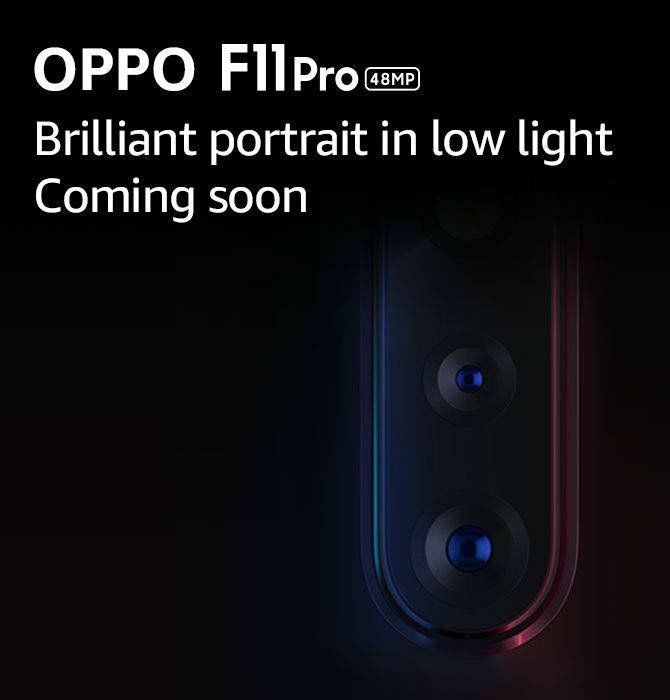 Oppo has started teasing their new upcoming smartphone Oppo F11 Pro sometime back and has already released the render images of the device confirming some of the new features of the upcoming phone. 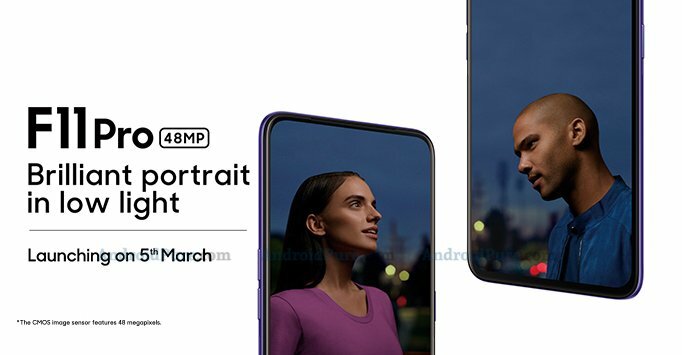 Based on those official render images from the company that are shared from social channels and on Amazon India landing page, Oppo F11 Pro is confirmed to feature a pop-up camera for selfies, a notchless display with a high screen to body ratio and the 48MP primary sensor of the dual camera module at the rear. Today, we can confirm that Oppo will be launching Oppo F11 Pro in India next month on the 5th of March. The teaser image below confirms the launch date of 5th March in India. The company has already confirmed that the new phone features a Super Night Mode with OPPO’s exclusive AI Ultra-Clear Engine which includes the AI Engine, Ultra-clear Engine, and Color Engine. It claims to deliver the perfect Super Night Mode which intelligently recognises scenes and optimises the settings. Amazon India landing page with promo images and video indicate Thunder Black and Aurora Green colour options. Earlier leaks indicate that Oppo F11 Pro comes with 32MP popup selfie camera placed in the middle of the device. It also indicates that the 48MP primary sensor of the dual camera module at the rear is basically a 12MP sensor that utilises pixel binning technology to shoot 48MP images similar to Redmi Note 7. Oppo F11 Pro Price in India? We still have no details about other hardware specifications of the phone including the battery capacity. We also have no clue about the price but we expect it to be priced around Rs. 25,000. Stay tuned at Androidpure and we will keep you updated.